Empowerment is the ability to be able to finish what you set out to achieve by doing what it takes to get where you are going. It means that you are using your power, your strength, your skills to get to the positive end. You need strength and skills because any goal worth achieving puts up a lot of obstacles that makes it challenging to get to. Bears, especially in northern climates, represent empowerment because they are big, powerful creatures who go unchallenged. Normally bears come into the dream process when you need to be able to have the process of finishing what you begin. The dream above represents the problem most people have with bears or bear-like energy. If you are not the bear in the dream, you are most often small in comparison to it and threatened by its presence. When you are fearful of being attacked by a bear, it indicates that you are fearful of being attacked by a power that is bigger than yourself, usually abusive in nature. You will only get a dream like the one above when you have experienced some kind of abuse by the more negatively powerful. If you have not been abused by an larger power, then the type of bear dream you might get, if you need finishing energy, is much more neutral. The bear might be curious about you, but not threatening. The goal in a dream about a bear, as in any animal dream, is to be the bear, itself, as if you are inside its skin because what you need to be able to have is strength. The first obstacle in the above dreamers process is to overcome the fear of being attacked. If it were the first time that the dreamer had dealt with the abuse situation, then she probably would have run out of the house. This is what most of us do. We run away from ourselves and try to get away from the abuse to protect ourselves. She has already dealt with abuse to a degree because, while she has some trepidation that the bears might attack, she goes up to them and sees that it is a person in a bear costume. This is a much more advanced level because at that level you realize that an abusive person really isn’t being themselves. They are pretending to be a bear. The understanding allows you to let go of the fear and then become a positive bear. The bear’s power resides in the positive memories of the past and its ability to bring them to the fore in the present. The more access you have to positive memories the more strength you have. The logic is this. If you have a skill like being able to cook well, you can only use it to create great dishes when you remember that you have the skill. The empowerment comes from practicing many types of cooking dishes over a considerable period of time and then remembering all of it. The key to empowerment is the ability to do an activity, remember it in a positive manner, and then repeat it at a higher level. This is how strength is developed. When you have been abused, you run away from the bear which means that you run away from doing the things that will make you strong. The fear of getting crushed keeps you from staying in a process to its completion. Empowerment is based upon two primary internal mental processes. The first is a visual memory of success and the second is an auditory voice that talks about how great the picture is. When those two are in place, then you start believing that you can be big in relation to the task. You are the bear in size and the task isn’t so big. When you are on the other size where the negative bear is big, then the task seems impossible so you do the logical thing, quit. Being the bear makes the task manageable. Having positive memories allows you to keep getting attracted back to the task. When you work with children or young people or someone new to a task, the goal is to create a bank of positive memories of success so that they will keep going back to the activity over and over. Much of our practices do exactly the opposite. We build a bank of negative memories of mistakes and then have to force young people to go back to the task. The golden rule is to give a great deal of positive feedback and then instructional feedback to improve technique. The ratio is about 5 to 1. These are the teachers you go back to and love. 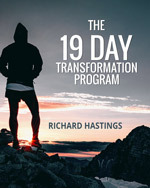 The general rule of developing strength in yourself if you have been in an abusive situation and now you are an adult is to find a person who can help you through the process so that you won’t go running. I have also dreamed of bears and written about the dreamwork/changework process of developing strength through transformation. Here is a link to an example of a bear dream and Richard’s interpretation. 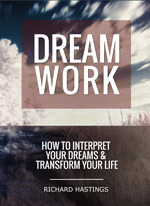 http://www.rperrydreamwork.wordpress.com. Check it out. The key to understanding a bear is its size as you say its massive-ness. The question comes back to why you need to integrate with something big. It is because the size allows you to be big to things rather than seeing yourself as small and not being able to achieve very much.